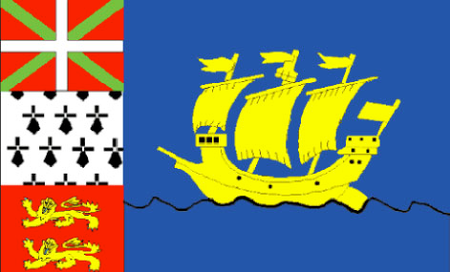 Saint Pierre and Miquelon is a French territory located off the shore of Canada in the North Atlantic at the entry to Fortune Bay in the south of Newfoundland; it is the last vestige of a vast empire that once included large portions of North America. It was the Portuguese, however, who were the first Europeans to land here; they apparently found the islands uninhabited, though there is evidence of an earlier aboriginal presence. Portugal never tried to colonize the area, and Jacques Cartier soon established French control. Possession passed back and forth between the French and the British for the next couple of centuries, with the French finally establishing permanent ownership as part of the peace treaty signed between the countries in 1814. The islands were long supported by the vast fisheries of the North Atlantic, but by the end of the 20th century the seemingly endless stocks eventually gave out. The islands have a great deal to offer in terms of scenery and history, and the citizens have created museums and regularly stage events to take advantage of the brief summer. Visitors can expect a fair amount of rain during most seasons, and bone-chilling cold in the dead of winter. The 6000 or so permanent residents have apparently found enough to do without turning to golf, at least so far, for there are no courses in the territory.